Sometimes the unexpected is even more fun than the best-laid plans. Iris, her family, the neighbors, and dog take a road trip to the lake. But first, the cars break down. Then they get lost. And when they finally arrive at the lake, they see a NO DOGS ALLOWED sign. What to do? Iris's family's make-do attitude saves the day, for as they go about their beach activities while trying to figure out what to do with the dog, each takes a turn taking care of the dog. Soon the day is over, and the dog has had the best time of all -- the beach had been brought to him. 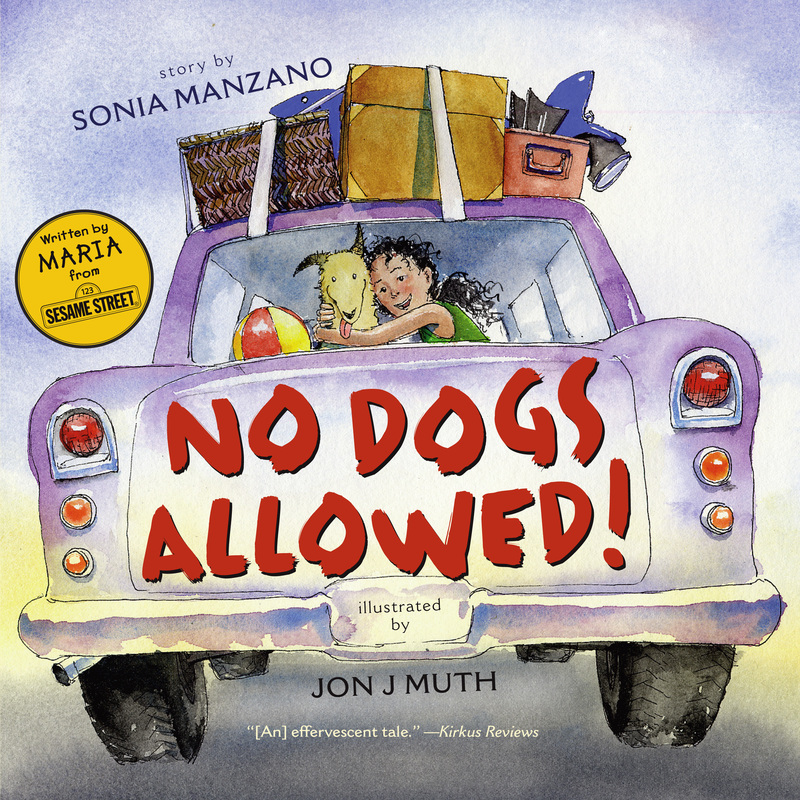 Sesame Street's Sonia Manzano's first picturebook provides an ocean of humor, a warm, close-knit Puerto Rican community, and a take-charge family who refuses to let things get in their way!